Within a tiny biosphere transported to the far side of the lunar surface by the Chang’e-4 probe (previously) containing various plants, yeast and fruit-fly eggs, so far only the cotton seed has germinated and is sprouting. Researchers are closely monitoring the sealed environment to see what happens next. 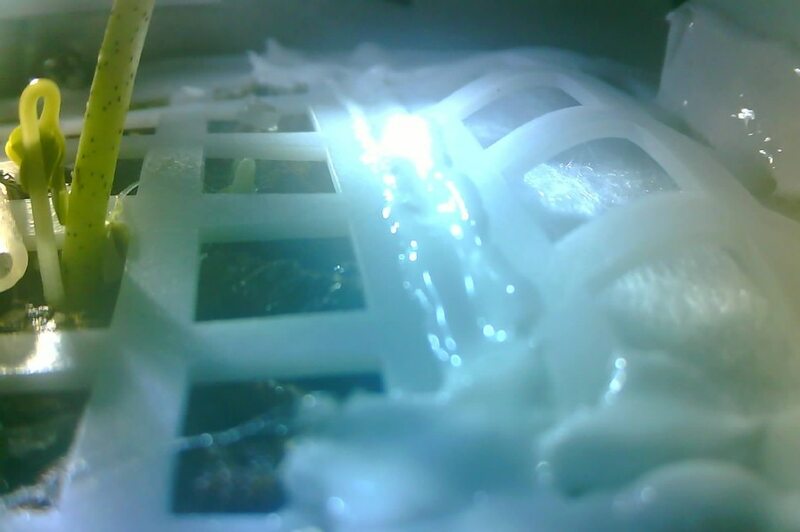 There have been many experiments with plants in microgravity beforehand but this represents the first time to attempt to cultivate something on the Moon.